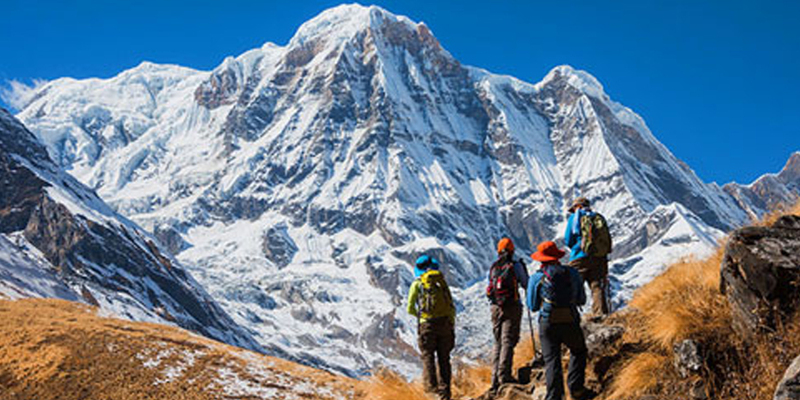 We have developed a Nepal trekking trip grading system to help you match your level of fitness and aspirations with a trip that will complement both. If you've never trekked before, we recommend that you not be overly ambitious. Try a short trek and see if you enjoy it. That said, we acknowledge that trekking experience counts less than your motivation and physical condition. If you really want to get to Everest Base Camp, and are fit enough to do so, you'll get there. Good health and spirit of adventure will carry you far. A complete dossier on your trek will be sent after we receive your initial deposit and booking confirmation. If you are uncertain which trek is best for you, we strongly recommend requesting complete trek dossiers before you book. The descriptions below are meant to serve as a rough guide only. Trip grades are based on length, altitude, and remoteness, walking conditions, weather and other factors. It is impossible to be precise about how hard a trek is: grading provides a way for you to compare different treks. Remember that all trekking makes some physical demands. Don't expect that because a trek is graded easy you will never feel tired. We day hike, sightseeing and always stay in hotels. These trips can be enjoyed by anyone who leads a reasonably active life. The trekking itinerary is nine days or less, with elevations generally below 10,000 feet. The trekking itinerary is greater than nine days. Some previous hiking experience is desirable. Elevations up to 15,000+ feet, with ups and downs. You need to be familiar with mountain walking and possess a fair degree of stamina. These trips include difficult trekking conditions, covering long distance and high passes. (A doctor's certificate may be required). Climbing experience is required. You must be familiar with the use of mountaineering equipment. This grade is reserved for our most demanding treks, involving long days, often in isolated areas, at elevations above 18,000 feet.